Research sites and sponsors. 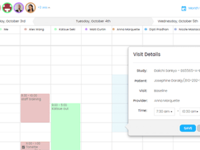 For sites, an enterprise tool to streamline operations and improve productivity. For sponsors, a data platform for centralized monitoring. An intuitive eSource, lab routing, and CTMS solution for research sites. Using CRIO, sites can save favorite procedures; build own source templates; capture source data quickly and accurately; mark up labs; and share visits with their monitors for review. 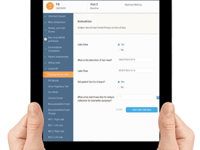 Recruiting helps manage patients and campaigns, and enables one-click calling and texting. Finances calculates receivables and invoiceables as the visits are being completed. We are a premium service at an affordable price. Clinical Research IO Reviews Recently Reviewed! Super efficient, friendly support, proactive company focused on site needs & industry demands. Pros: This is the creme de la creme of clinical research software. There are so many modules and training that it will take some time to get used to but you will never be sorry. 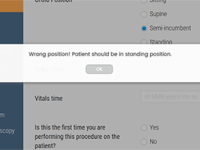 If you seriously commit to learning and using this system you will save so much time from capturing data real time to decreasing errors and deviations. I absolutely love the reponse time from the CRIO team and the "live chat" feature has saved our site from having any major meltdowns due to the learning curve. Our site is almost completely paperless thanks to this amazing software. Comments from CRA's : "this is the wave of the future"
"your site is so far ahead in the game, why aren't all sites using this?" " what is it called again?" The game changer for our site was the financial tracker module. We are a small site so using Fresh Books, an EMR, a CTMS, and entering data in respective EDC's took an incredible amount of time... time wasted entering data trifold and trying to track what we are owed vs paid & costs to our vendors , study staff etc. Major bonus points for this system that our site was not looking for was the recruiting module. This system is truly a one stop shop. Better is efficiency in what we do, how we do it, without compromising the integrity of the data. Data entry errors across multiple systems compromises data, creates queries and wastes time. CRIO does interface with other data systems making data entry at the site occur one time. Imagine that! Overall: The time spent in clinic and entering data has been cut to less than half. We are continuing to learn about all of the functions of this software and have not been dissappointed in anything yet. The capabilities are endless and the cost is affordable. Big pharma should jump at the chance at having real time data available. This has been a game changer at our site. We only have 2 coordinators so we were limited in our study load. We have doubled our study load within 6 months of starting with CRIO. You will not find a single system that offers all that CRIO does and for the price too! Pros: User-friendly! I love that this program makes following protocol requirements for study visits a breeze! It is extremely easy to make adjustments (for example if there are protocol amendments) and the software takes away the stress of forgetting things like re-consenting patients or follow-up evaluations of AEs. Groundbreaking for the research industry! Cons: In regards to the cons, I have little/nothing to note. Customer service has been very responsive and easy to talk to; they have resolved most of my issues immediately. 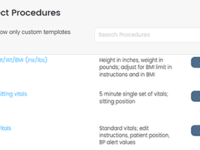 Overall: This software significantly helps with patient management. All in one system that is easy to use. Excellent clinical research software with great value for the cost. Pros: -UI is very clean and easily navigated. -Source creation that is simple for anyone with some advanced features. -Payment model that makes sense for research sites. -External logins allow monitors to leave comments directly on the eSource form! Cons: -Simplistic source creation doesn't lend itself to specific needs. As an ophthalmology practice, best-corrected visual acuity is impossible to adequately and efficiently capture on this platform. That said, I haven't seen a system that can do much better. -They took an interesting approach of starting with a complicated form and simplifying it as you answer questions rather than vice versa. I don't dislike it but would prefer the alternative for the purposes of clinical research. One of the best User experiences in Research and Software I have experienced. Pros: It is both online (website) and available in an App. Since October 2016, we have experienced zero downtime. Even better: the have an integrated Chat feature...which they answer, respond to, and fix any/all issues, and answer all questions. Cons: When we started with CRIO, they did not have an integrated database we could use for recruiting. They do now. When we started, they did not have a financial component we could use to track work done. They do now. The only outstanding issues are: no regulatory component and no ability to consent patients with CRIO. I have worked with CRIO eSource first as a CRA and then as a site owner for Clinical Trials. Pros: In my experience the strongest feature of CRIO's eSource is the ability to review data remotely. As both a CRA and a site owner, remote data review is imperative to ensure patient safety, data quality, and to identify any potential errors as quickly as possible. 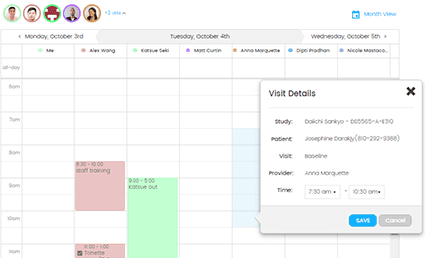 CRIO streamlines Clinical Research data collection to cut down on Study Coordinator and CRA time all while decreasing unnecessary user errors. There customer support has been very strong and I look forward to seeing there software adopted on a larger scale in Clinical Trials. Cons: CROs have not made it a requirement for studies yet. Once CROs are mandating CRIO's software across all research sites for a given study, the CRO's will be able to effectively standardize data collection and truly achieve their goal of being able to perform risk-based monitoring. Overall: Improved data quality while decreasing the time required to manage a study. 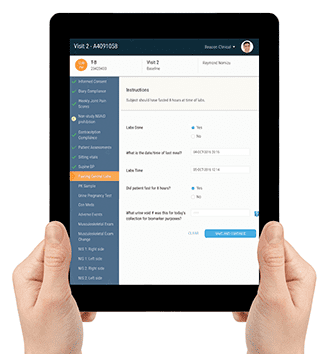 Absolutely the best Research Site management software on the market. 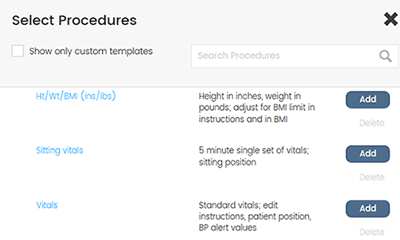 Pros: Built by clinical researchers for clinical researchers says it all. This program addresses every concern and limitation of old paper documentation while understanding the detailed requirements of CRAs, Sponsors, and FDA. Fantastic consumer service even after purchase. Cons: I have honestly not found a problem with either the software application or the service provided by their administration team. Overall: It allows me to serve as a better Principal Investigator, CEO, and owner of a busy research team by providing all the tools I need right at my fingertips. Best and More Complete CTMS in the market. Pros: Essay set up, easy to work, direct step guidance for us. Tremendous customer response and help desk. Human contact solution, subject payment, and financial integration. Cons: None have all you need, I'm not able to find any cons yet. Working on it but every time I found a roadblock the IO team provided me with the tools to overcome or fix the issue. Overall CRIO is the best CTMS product we've reviewed or used. Pros: CRIO has *easily* the best recruitment functionality of any product available. The integration of CTMS, e-source, and recruiting is largely seamless. The product is very dynamic, and they're constantly improving and upgrading features. Product team are very receptive to user feedback, and the customer service is fantastic. 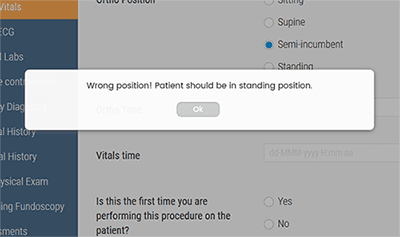 Cons: There are annoying bugs that sometimes take a while to be fixed and occasional issues where design doesn't meet the needs of our clinical research site. Pros: It's very intuitive, easy to use and is set up exactly how I would envision an eSource program had I been smart enough to know how to do that. I've been in research for 15 years and have been looking at eSource for the past 3 years. No other program was set up with such an intuitive user interface. Pros: Easy to use. Works with the industry. Able to change and update as needed. Able to keep all logs study related electronically. Friendly and punctual help desk. Economically affordable. Training is simple and able to start using right away. Overall: Eliminates deviations. Helps sponsor review data in a timely fashion. Use of less paper.